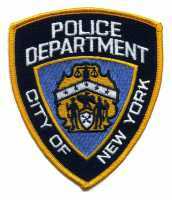 Response: Police violence exposure is commonly reported in New York Cities and is related to mental health difficulties and distress. Response: Future research will need to better understand the direction of causality underlying associations between police violence and mental health. It is possible that police violence, like other forms of violence exposure, leads to poor mental health outcomes. It is also feasible that people with mental health difficulties are disproportionately likely to interact with police, with some subset of these interactions turning violent. This entry was posted in Accidents & Violence, Author Interviews, Mental Health Research, Race/Ethnic Diversity, Social Issues and tagged Fordham, FordhamNYC, mental health, police violence, social disparities by Marie Benz MD FAAD. Bookmark the permalink.